Banana Republic is facing major backlash right now — and it has to do with a discriminatory natural hair incident. 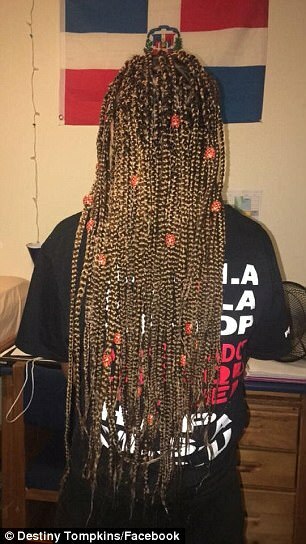 A viral Facebook post by Destiny Tompkins alleges that she was singled out for wearing her natural hair in braids. Destiny explained that she works at the Banana Republic at the Westchester Mall, and that the district manager recently visited. Following this visit, the store manager — who Destiny identified as "Michael (Mike) [...] a white man," asked to speak to her about the dress code. "He sat me down and questioned my hair," she wrote. "He told me that my braids were not Banana Republic appropriate and that they were too 'urban' and 'unkempt' for their image. He said that if I didn’t take them out then he couldn’t schedule me for shifts until I did." Destiny says she attempted to explain that her box braids were a protective style, but Mike countered by telling her to "use shea butter for it instead." "I have never been so humiliated and degraded in my life by a white person," she wrote. "In that moment, I felt so uncomfortable and overwhelmed that I didn’t even finish my work shift and ended up leaving." According to The Cut, Banana Republic chose not to address their company policy on braids in the dress code. They did, however, issue the following statement to the outlet: "As a company, we have zero tolerance for discrimination. We take this matter very seriously and we are actively conducting an investigation. We are committed to upholding an inclusive environment where our customers and our employees feel respected." Unfortunately, Destiny's story doesn't coincide with that commitment. 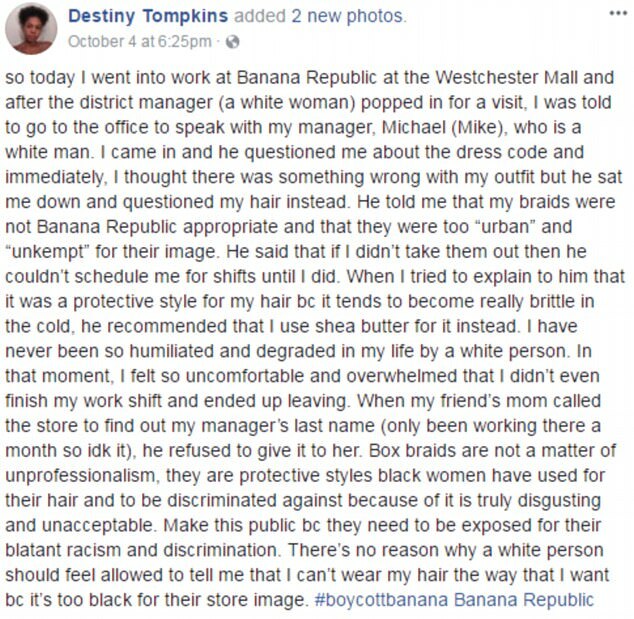 "There’s no reason why a white person should feel allowed to tell me that I can’t wear my hair the way that I want bc it’s too black for their store image," she concluded in her post. Earlier this year, the Perception Institute conducted a study that confirming black women with natural hair experience bias in the workplace. Many women have been suspended, fired, or chastised for what their employers imply or outright state are "unprofessional" hairstyles. But, that mindset incorrectly assumes that some hair textures are more acceptable than others — and that there's a "wrong" way to wear your hair. For the record, there's not — and everyone should be able to wear and style their strands however they want. As Destiny's incident shows, we still have a long way to go in how we talk about natural hair — and as that conversation progresses, it's important to call out discrimination when we see it. 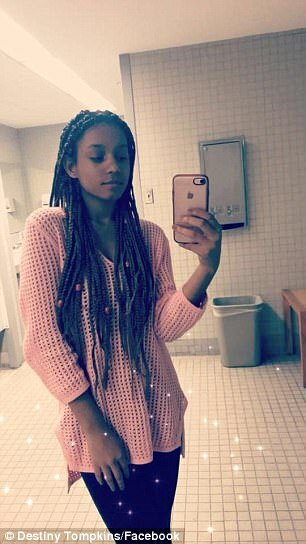 Banana Republic spokesperson Sheikina Liverpool has provided the following update: "This week, one of our store managers questioned an African American employee’s braided hair style. Our team began an immediate investigation and the manager involved was promptly removed from the store. Today we concluded the investigation and can confirm that the manager has been terminated from the company. Banana Republic has zero tolerance for discrimination. This situation was completely unacceptable, counter to our policies, and in no way reflects our company’s beliefs and values."